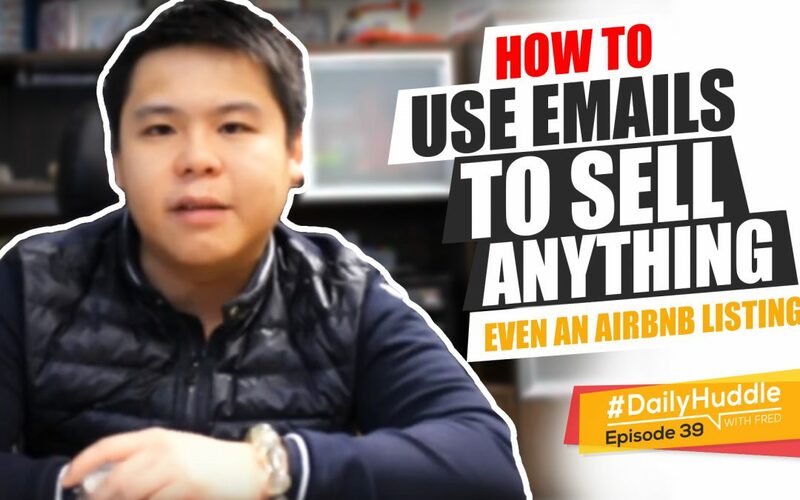 Ep 39 | How To Use EMAILS To Sell ANYTHING – Even An AirBnB Listings! What’s up, everybody? Fred Lam here and welcome to our daily huddle episode number 39. It is Friday so it’s going to be the last episode of our daily huddle this week. If you saw the topic of our daily huddle today, I want to spend some time on sharing with you a specific strategy that you can actually use to sell anything that you want even an Airbnb listing. This question was brought to me by Ryan Leonard. Ryan asked me this question and I want to spend some time on answering this right now but before I do so tell me where you guys are coming from in our live video right now. If you are on Facebook let me know in the comment box below and if you are on YouTube let me know also so that I can actually have a peek. I know that it is Friday a lot of you guys are maybe out having a beer. On the other side of the world, maybe you’re just starting up your day so I don’t expect that there are going to be a lot of people here. But what I can share with you is that what I’m going to talk about today will be superbly important so make sure you stay throughout the entire daily huddle today. Not only I am going to answer five questions but I want to talk about a strategy that you can actually start using. [0:02:15] Question 1: I want to market my Airbnb listing, but Airbnb doesn't allow me to install a pixel to track conversions. How can I track the effectiveness of Facebook ads for my Airbnb listing? I want to market my Airbnb listing, but Airbnb doesn’t allow me to install a pixel to track conversions. How can I track the effectiveness of Facebook ads for my Airbnb listing? Ryan if you are watching this, pay close attention and take notes because I’m literately going to give you the entire business model right now. Again, this doesn’t just apply to Ryan who has an Airbnb listing. We all do this through email. Let me actually take a step back right now and look at this at [inaudible 03:53] scope. So, you’re going after Airbnb listings so we are going to identify the customer avatar first. This is actually very important for any business that you run regardless if it’s ecommerce, online digital publishing, agency, and local business. I don’t care what business you are running, you need to identify who your customer avatar is going to be. With what you’re selling which is your Airbnb listing, it is a place where people go to to stay. Now,with Airbnb it’s basically a replacement of hotels. People find that they actually save money by going to Airbnb. They actually have the ability to cook themselves, do laundry or maybe share the bill with a bunch of friends. So basically with that, we know for a fact that your customer avatar is going to be travelers. I don’t think any locals will say, “Alright, tonight I’m not going to stay at my home. I’m going to actually rent a place at Airbnb.” However, if you guys are going to have some intimacy and you don’t want your family members to know or you’re trying to cheat on your girlfriend or boyfriend then maybe you will look at Airbnb to save you some hotel bills. But I assume that there is going to be a very less amount of people who is going to be that big of a market size who will want that. I hope that you guys caught what I just meant. Anyway, with that we know that they are travelers. Let’s say that someone in the US is planning on traveling into San Diego or someone in Canada or UK who wants to go to San Diego for a destination as vacation. So, obviously people need to travel there and do their bookings and hotels. With that then you know that if it’s San Diego, what I can do to acquire email addresses of the people who are interested in going to San Diego. What you have to do and by the way this is a strategy that I will actually use if I were you is to simply give content and value to these travelers. What you’re essentially doing is that you are trying to identify through ads those people who will most likely go to San Diego. How do you do that? How do you identify that customer avatar? It’s very easy. In San Diego there are a lot tourist places; the Seaworld, the navy museum, the safari zoo etc. There are two methods; you can do Facebook or pay per click ads. What you have to do let’s say in Facebook is to go after people who express interest in Seaworld, Safari Zoo or any of these tourist places in San Diego. You advertise to people who do not live in San Diego. If I’m on Facebook, surfing and checking out Safari Zoo in San Diego but I’m not in San Diego then I’m a perfect audience because if I am already expressing interest to those places then chances are I am going to San Diego at a very short period of time. When it comes to Google or Bing what you can do is, you can bid on the keyword as San Diego or San Diego Seaworld. Again, same thing you advertise to the people who only search for that keyword if they are outside of California or outside San Diego because we know that anyone who is outside of that state or area they’re most likely who needs a place to stay. Going to those places you need to actually stay there for at least a day or two. So with that, we know who our customer avatar is and we know how to run ads. Now how can we acquire and get people’s email addresses? You can create a very simple ebook that talks about the things they need to be aware of when it comes to traveling especially in San Diego. You can talk about the safety, transit let’s say that “We would suggest you use Uber over a taxi because you’re going to save a lot of money.” You want to talk about the time schedule like “If you’re planning on going to Seaworld, you should go there at this time because it is the best. Or if you’re trying to watch a show, you have to book it earlier.” So you are giving a lot of content to those people who are about to actually go to San Diego. If I were to go to San Diego, I want to know what time I should go to these areas, what are the peak times, what those are not, where should I go for dinner, what should I do with public transit and all those other stuff. So you give a lot of value to your new subscribers who are about to go to San Diego because if they opted-in into your landing page and gave you their email address in exchange for that ebook; you will know that they are going to travel to San Diego at any given time. It can be in a couple of months or it can be in a couple of weeks. Then it gives you now the opportunity because in ads you can actually track how many people opted-in and gave you their email addresses. From there here’s what you have to do, through your auto-responder [inaudible 10:22] and email broadcast It can be in a couple of months or it can be in a couple of weeks. Then it gives you now the opportunity because in ads you can actually track how many people opted-in and gave you their email addresses. From there here’s what you have to do, through your auto-responder [inaudible 10:22] and email broadcast, guess what? You can now start to build a relationship with your audience who are about to travel to San Diego and tell them, “Hey, I have a gorgeous place right in the heart of San Diego. The price is going to be half the price as a hotel. Here are some pictures. I would like to invite you to my place.” Send the link to Airbnb and keep teasing them and get them to book their stay at your place. It doesn’t stop there. You can actually do all sorts of stuff. You can actually then look for affiliate offers because there are a lot of products which have affiliate offers tied to traveling like luggage. You can even create your own ecommerce store selling things which are related to traveling like travel pillows and all those other stuff. Keep selling to those audiences because we have already identified those customer avatars. So with that, what the most important thing I think that if you want to track and have a long term sustainability in your Airbnb listing, I would highly suggest you to create an opt-in page and capture that email address. And I have to tell you, when it comes to online business and now even offline businesses or local businesses email is an asset to the company, so it’s very important that you have strategies in place to acquire those email addresses. Serve them, give them content, and sell them because that is going to be your gold mine. As a matter of fact, I use Airbnb as an example but you can actually apply this to selling cars, real estate, life insurance, travel insurance. You can do all sorts of stuff and you just basically have to identify who your customer avatar is going to be, what are the things that they would need content on, and then piece it altogether. As a matter of fact, this is what I do a lot for all my businesses even my ecommerce business; I do have lead generation in place because I know the value of an email address. I know how much revenue I can make when I have these email addresses in my data base. You can talk about a lot of stuff and it just helps you attract these people. You’ll know immediately if they opted-in that they’re going to travel to San Diego. If I have no interest in going to San Diego there’s no point of me giving you their email address. You are basically segmenting those audiences and just sell them. In your auto-responder, you can say like, why you should not stay in a hotel and all those other stuff. Here’s something absolutely crazy. On Monday there is going to be a boot camp and 8-part video training series that will go in-depth and step by step on how you can use this form of business for your venture. The 8-part video training series will be released on Monday morning. In order for you to get this first, you have to subscribe to my email address and I will send it very, very early to you. I partner up with someone to do this to show you 8 videos. This is built primarily with emails; how to capture emails, how to sell with emails and all those other stuff. Put in the word excited into the comment box if that excites you. I’m not going to ask you for a credit card. No money needed put that away. It’s 100% free. You’re just going to get a link. All you have to do is just register ad you will get an 8-part video training series on how to profit with emails. [0:15:12] Question 2: It seems as though Facebook has made some changes to the Audience Insights tool. I can no longer search for interests and find useful pages associated to those interests in the "Page Likes" section. I have also read a report online saying that Facebook is shutting down its Audience Insights API. Is this true? And if so, what is the workaround for us to find our targeted audience for our Shopify store? It seems as though Facebook has made some changes to the Audience Insights tool. I can no longer search for interests and find useful pages associated to those interests in the “Page Likes” section. I have also read a report online saying that Facebook is shutting down its Audience Insights API. Is this true? And if so, what is the workaround for us to find our targeted audience for our Shopify store? Thank you so much for the value you provide us! First of all, I don’t think Facebook will ever remove the Audience Insights tool because it is an important piece for advertisers like you and I to use. However, I know for a fact that the Audience Insights tool can be a little bit buggy just like any other software out there. There are always going to be bugs. Sometimes when you actually put in the keyword or an interest that should have lot of following and nothing pops up. It’s really just because of a bug. What I would suggest you to do is maybe wait until the next day, clear your browser cookie and then go at it again and put in the keyword and then you’ll see that data. I don’t see the Audience Insight at anytime will be shut down because it is an important element for any advertiser. [0:16:44] Question 3: Would you tell us that what the three most important habits and steps that have made you this successful Fred are???! Moving on to the third question of the day by Rohullah Shahrani. Would you tell us that what the three most important habits and steps that have made you this successful Fred are???! I don’t classify myself as successful because there are far more many people that are more successful than I am. I, everyday am learning just like you but I maybe learning different things than what you are. Let me get that flat out straight at the same time. As you guys all known I never classy myself as an expert or a guru because even I myself learn everyday and I even make mistakes everyday and it’s absolutely fine because we are humans. At the same time to me success really goes down to people at a different status. Anyway, one will actually look at success with different mindset and different angles. But if you’re asking me what are the three most important things that took me to where I am at today. I think one of the key things is first, taking action. I see a lot of people that simply just get the information into their heads and they never actually apply it and take action with it. It just went into their minds and went right out. I would tell you over 80 to 90% of the people that I know basically gets all this information but never actually take action. It upsets me because they have the knowledge and information that they need but they simply aren’t taking it into action or implementing what they are learning. If that’s you put in the word ME into the comment box to call yourself out. If you’re like, “I actually bought a course. I watched the first couple videos and then that’s all I did or I watched all the videos but I never actually went back and step by step took action. It’s important to actually have self-awareness to know that “Okay, you know what I’m lacking that.” That’s what I do a lot of times too. I get called by my team a lot of times saying, “Fred you always have these ideas that you want to do but you never actually took action and followed through.” Each time now when I have an idea or something that I really want to do, I just basically remind myself “Fred, you do not have to withdraw from the situation. You have to take action and implement it and follow through.” I keep reminding that to myself because I know that I have that problem and it’s fine. At the end of the day if you guys are giving me ME’s right now, you just have to acknowledge that “Yes, I am not taking action.” And each time when you start to slack and not take action based on the information that you have given just basically say to yourself “Okay, Fred Lam I am going into the zone of not taking action again, I need a wakeup call.” You spank yourself. Ultimately at the end of the day you owe yourself. You don’t owe to anyone. You don’t owe anything to anyone. You owe it to yourself. The success that you want you owe it to yourself. So, number one is taking action. Number two is “Be persistent”. This is actually very important. A lot of people actually just go like “Well, you know what I’m just going to take a shot. I’m going to take action and try this out.” Then it came back and it flopped. You failed. A lot of people start blaming and start becoming the victim and said, “Information is not correct. This is BS. This doesn’t work.” But the truth is, you are not being persistent. Let me tell you for a fact, no one is ever successful overnight. There’s not a single person either building a business or going into a career that next day in less than 24 hours. They become a multi-millionaire. That is never ever the case. That’s why in any workshops that I hold, any training that I give you guys, I keep telling you that this is not a get-rich-quick scheme. You have to actually put in the work and persistence is very important. Let’s be honest, Facebook Ads. There is so much information out there about Facebook Ads. I share a lot of information with you about Facebook Ads but it doesn’t mean that right away in the first several campaigns that you run it’s going to be a home run. It won’t be. You have to be persistent and start looking at; why this is not working? How can I make it work? How can I sell more of this product? How can I improve the click-through rate on my ad? How can I do this and how can I do that? Because when you actually say “how” then you are now being persistent and you are now taking smaller baby steps towards the goal that you want to achieve. Being persistent is very important. Failing is fine because in order for you to succeed you have to fail. Each time you fail, you will learn something new that will gain you knowledge and that will give you a greater strength for you to become a more powerful entrepreneur. The last thing that I have is very important and it’s mentorship. I know that a lot of people talk about this but this is truth. Having a mentor is superbly important. I’m blessed that throughout my career and at different stages of my life and in my career path I had different mentors helping and supporting me whenever I am in need during that particular time. In the beginning when I first started in the industry, my ex-business partner was my mentor. We were exchanging ideas. He was in the industry way earlier than I am and he taught me a lot of things. Afterwards, I transitioned and my next mentor was a guy named Dimitri and he helped me a lot. He was the general manager at BMW back then and he took me under his wing as the marketing manager and he taught me a lot of stuff on how to run a business. I never went to school. I don’t know the theories. I never got into an accounting class so I have to learn exactly how to run a business. I don’t know how to drive traffic. I know the concept but I don’t have the foundation. And during that time a lot of stuff from him especially about retail, sales and service. Then at that time I transitioned and had my next mentor who was [inaudible 23:45]. He’s a really close friend and brother of mine now and he brought me into the digital publishing industry. If you guys know him, you definitely want to thank him on his Facebook page because you are seeing me now because of him. He was the person who convinced me to do all these. Now, I’m seeing you guys’ success at the same time. He also helped me along the way on understanding how this model works and what to do. He guided me through all that. 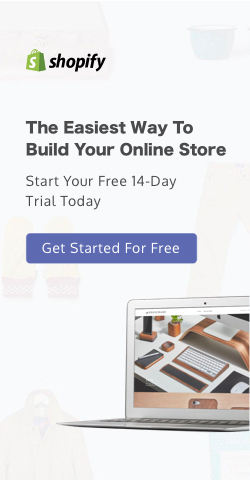 Right now I also have one of the fastest growing retail company co-founder who has a superb massive brand which is like opening a lot of retail stores all around the world. He does there like billions of dollars right now and he had taken me under the wing to help me how to scale a business to $50 million to $100 a year. Mindsets and how you run the business is so far different when you were starting out so at this stage now I have him as my mentor. Mentorship is super important. Having the right mentor is also very important. Someone who gives you good advice and people who actually take you seriously and care about you at the same time are few characteristics of a good mentor. You guys can actually treat me as your mentor too. That’s what I’m doing every day. If you actually watch back every single episode of my daily huddle, I can tell you you’re going to learn a lot of stuff. If I do this for a full year and I take my all my daily huddles offline I think I can easily sell like a $997 course and compile everything together. If I’m mentoring you this will be the same information that I will give you but I’m just basically trying to do it a massive scale and sharing with everybody and all my followers at the same time. Those are the three things. I know I took a little bit longer than I need. Number one taking action, number two being persistent and number three having a mentor. Those really built and helped me to become who I am today. Do you guys like what I just talked about? I went really in-depth today about the business model and mindsets. [0:26:39] Question 4: What do you think about the behaviour audience of “Engaged Shoppers”. It seems to always reflect increased Ad clicks on the Audience Insights Purchase section. If it displays a higher # if clicked add, shouldn’t this ALWAYS be selected? I want to set this straight because I obviously have people all around the world watching this and following me at the same time. Lamont, when it comes to engaged shopper not every single country will have that option. I believe right now I think only United States citizens have that option. 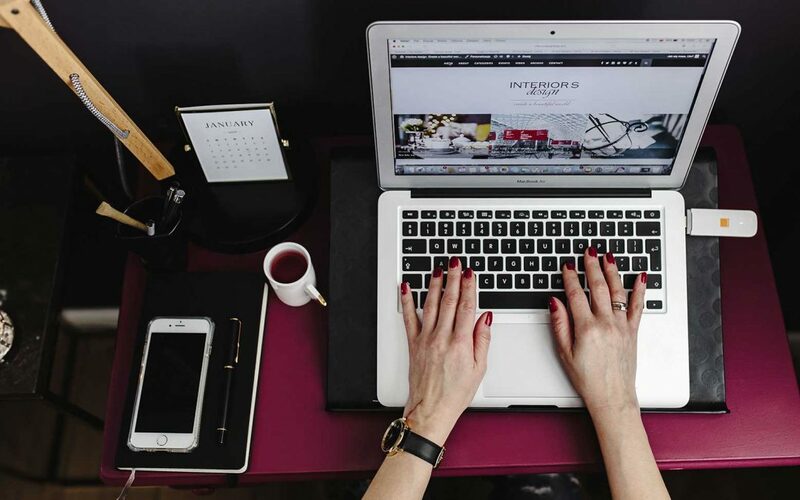 Here’s the thing, do you really need engaged shoppers or not? At the end of the day, it all drills down to your number and testing. The best way for you to master your own business of Facebook Ads is not basically watching video tutorials. Watching video tutorials will help you understand, give you strategies, give you ideas to optimize or how to set it up but you are the one who knows your business inside out; what click-through rate you need, what cost per click you need, what CPA you need in order for you to be profitable. With that being said, I need to tell you that sometimes when you run ads maybe some campaigns work with engaged shoppers and sometimes won’t. It also depends on the niche. That’s why I never give you definite answer when it comes to targeting because I don’t know what you’re selling, I don’t know what niche you are in and I don’t know what your ad looks like. There are too many variables involved but my answer to you is simple. Do a split test of an interest with engaged shopper and another interest without engaged shopper, run it for $10 a day on each and look at the data. Get the data yourself and if your data tells you that having engaged shopper always work then make it a habit that you set up a Facebook ad you have engaged shoppers in your targeting. [0:32:09] Question 5: Should I kill it or should I change my ad somehow? When I watched one of your Daily Huddle where you talked about what keeps you motivated and told us about your vision and motivation when you first started, was to earn enough money so you can take care of your family and even employ some of your best friends. It touches me so deep because that has been the exact same dream for me over the past many many years but life here is not that simple and easy so I end up just working a normal 9-5 job with only enough sallary to take care of myself(sadly)and I’ve just been stucked here and never really believed in my vision anymore. Now, I’m trying to all in and hope I can get somewhere with all the money I’ve saved up and really hope I can revive my vision to earn enough money to take care of my family, also the most important thing is to earn enough so my mom can stop working! Sorry about the long introduction. That episode was so good and touches me so deep, thats why I might sound really… loudsy. I have an ad which looks fine on paper but it’ doesn’t generate any sales. Obviously people are curious enough to click but then they get turned off somehow. Should i kill it or should i change my ad somehow? Let me tell you Ming, I actually went to your website and looked at your product. I have to say your product is frickin’ fascinating. I don’t know how and where the heck you found this product but I can tell you that product can work frickin’ well. Based on your cost per click rate now of just $0.31 it’s phenomenal. I’m not sure what your cost of product is going to be. You have to first identify the data. I’m not sure if your ad has a price on there but if you have like a discount and you show that big discount that is great. So you have to first look at if you are getting any add to carts or people just click on it and curious and when they see the price they leave. The most important, are people seeing add to cart? If you are getting add to cart or even initiating check out but you’re not getting a sale that may really mean people don’t want to pay for the shipping. I’m not sure if you’re charging shipping or not but people may not want to pay for it. You have to identify where the drop-off is going to be. Is it straight on the product page? Or is it on the order process? 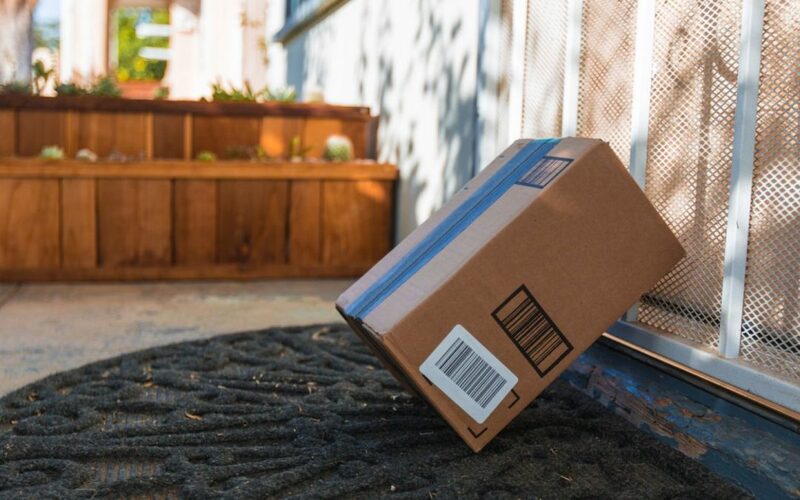 If it is on the order process then it’s very simple, either remove the shipping cost or simply have an abandon cart recovery in place to offer them free shipping to have them to come back to buy. The second thing I want to bring up is the price of the product. I know what the price is but I’m not going to say it in public. I don’t know what your cost is but at the end of the day based on what the price that you’re selling people will compare it back to the traditional product that they usually buy. The traditional that market that you are attacking it costs pretty low. Your product maybe like 6 or 7x higher than that product but it doesn’t mean that you can’t sell this. If you are getting drop-offs right at the product page, you have to do some testing. Here are the ways; You can test a lower price. You have to test a lower price that slowly decreases maybe $0.50 to $1 every other day to see if people are actually adding to cart or checking out because you’ll find a magical number. You need to make sure you have a number that works, a number that you can be in profit or at least pay for your ads. Your paying $0.31 cost per click, I would imagine right now you don’t need a super high conversion rate and you will break even with your ad. I’m pretty certain about that. Again, I’ve never seen your ad. I don’t know if you have actually a video about it but your product should be a demonstrable one. It needs to be a product that you need to demonstrate. It’s very important because when I look at it, I know and understand the concept but at the end of the day I go like, “Okay, it looks like blah.” It doesn’t really work. You have to actually show them. You have to do a video about it. The other thing that you have to look at is if you want to sell at a higher price or at the price that you want, add a video that talks about the product. And the other thing is you need to persuade the person not to buy the traditional product but to buy yours and why they should buy it. Maybe because your product actually has a lifetime shelf life and they don’t have to buy again. That’s a big selling point. You have to identify what is the selling point over the traditional product that people actually buy at their local stores. I hope that this information really helped you out and inspired you at the same time. If you guys are just joining us after you missed the most important business strategy that I gave, make sure you watch the replay. Here’s the deal, on Monday I’m going to send out an email to invite you to an 8-part video training series. It’s going to be a boot camp where you get to actually start building a business using emails. 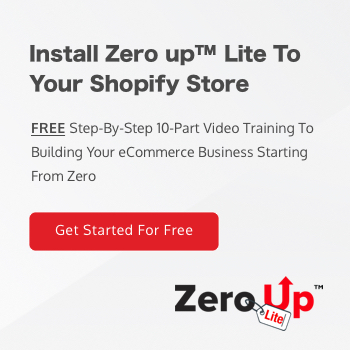 It’s going to walk you through step by step on how to do it; exactly like how I created my free eCommerce course that I gave out to every single one of you. If you want to diversify your portfolio, it’s very important. If you want to have a new business model this 2018, this is definitely something that you do not want to miss. Remember when Rohula asked me about the three habits that I usually do to be where I am at today; the first one is take action. I’m giving you guys opportunity on Monday. No credit card and money needed. Nothing is needed. No catch. No nothing just straight out giving it to you. I partnered with one of my mentors to have this out for every single one of you. So make sure on Monday, watch out for my email to get that link and register right away. Other than that listen, I have an amazing time today. I love these questions because they helped me elaborate more and gave you guys all this information. Tell me what you think about today’s daily huddle in the comment box right below if you are on YouTube or Facebook. Do you like it? Hate it? Dislike it? I actually read them every single day to keep up to date to see if I need to make any modification to my daily huddles. If you want your question to be answered and to be featured in or daily huddle, all you have to do is simply go to www.fredlam.com/ask. The last thing that I need you to do before you hop off, I want to build my YouTube channel. My goal is to get 100,000 subscribers this year so I need your help. If you are on Facebook head over to YouTube, search for Fred Lam, click on the word subscribe. If you have already subscribed, make sure you click on the bell icon which will let you be in our notification squad so each time I come on live you’ll get an email straight form YouTube to let you know that I’ll be on live for my daily huddle. And it will also give you a notification whenever I release a new video to every single one of you. Stay connected. Keep pushing. Keep hustling. Like I said, three habits; take action, be persistent and find a mentor. These three are superbly important. These three things helped me to be where I am at today. Have a wonderful weekend ahead. I look forward on seeing you guys on Monday. Bye now.